Carl Jung was the man who managed to combine the authenticity of science with a religious attitude to life, in his search for undiscovered paths of the unconscious self that lead man towards realizing his real nature and attaining his real goal. Equipped with deep knowledge of mythology, Eastern philosophies and major religions and accompanied by his many years of practice as a psychoanalyst, Jung has provided humanity with clues on how the psyche functions, providing support to all those who feel within themselves a strong urge to fulfill their ultimate purpose in life. Carl Gustav Jung is considered to be the founder of modern analytical psychology and a great thinker of modern times. He was born on 26th July 1875 in Kesswil, a small town in Switzerland. His father was a Protestant clergyman and when Carl was 4 his family moved to Basel. During his school years, Carl showed great interest in zoology and biology along with philosophy, religion and theology. When the time came to choose a career, he decided to study medicine at Basel University (1895-1900) and later he studied at Zurich university where he obtained his MD in 1902. He started his career as a doctor assisting Eugen Bleuler in the psychiatric clinic at Zurich University where he conducted experiments to reveal clusters of ideas, or "complexes", hiding in the unconscious regions of the human soul. Most of the times those complexes had an unpleasant influence on the patients. In 1903, Carl married Emma Rauschenbach and they had five children. 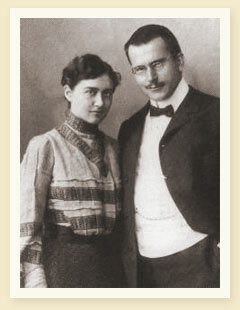 Emma was not only a loyal wife but also a valuable assistant to his studies until her death in 1955. 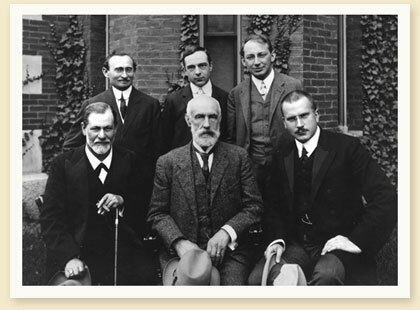 Jung met Sigmund Freud in 1907 and in 1910 they established the International Psycho-Analytical Association and Jung became the first president. They worked together until 1912, but Jung openly disagreed with Freud's views on the sexual basis of every form of neurosis. Jung started working on the field of analytical psychology and the distinction of personalities to extrovert and introvert, and his theories on archetypes and the collective unconscious and in 1948, he founded the Carl Jung Institute in Zurich. In his search for archetypes of the human psyche, Jung travelled extensively in North and Central Africa, India and America where he visited Indian reservations in New Mexico and California. In addition to being a psychologist he was also a prolific writer. Some of his most important works are: The Psychology of the Unconscious (1912), Psychological Types (1921), Psychology and Religion (1938), Studies in Analytical Psychology (1948) and Memories, Dreams and Reflections (1962). Jung remained an active psychiatrist, writer and philosopher well over the age of 80 and he died on June 6, 1961, in the same house where he had lived since 1908. While Freud had introduced the "Personal Unconscious" which, according to him, consists of complexes, Jung studied the archetypal and instinctual patterns of the "Collective Unconscious" that all human beings share, and which he traced in individual dreams and mythologies of different cultures. He explained that the uniqueness of our personal memories, wishes, experiences and emotions form our Personal Unconscious, which is different for each one of us. On the contrary, the Collective Unconscious is the source of all similar personal experience within humanity, or any other given species with a nervous system. In his book Archetypes and the Collective Unconscious, he stated that the Collective Unconscious is a universal psychic system which is inherited and identical in all individuals, and which gives a definite form to psychic contents, like primordial thoughts and mythological motifs. Jung devoted a large part of his life to the development of ideas that had a relation between psychology and religion. For example, in his "Collected Works" he stated that the Christian religion was a necessary historic process for the development of consciousness. He also maintained that heretical movements like Alchemy and Gnosticism were the result of unconscious archetypes which had not been adequately expressed in the different forms of Christianity. Jung supported the idea that we cannot fully understand the psyche using conceptual terms. Archetypes are perceived as emotions and images and shape themselves according to time and culture of the people, but the main idea remains the same. For example, the archetype of sadness when someone dies is the same for all cultures, but the way of mourning and burial customs differ greatly. It is exactly the same with similar myths all over the world, in which characters have different names but the main story is the same. Archetypes can be interpreted as positive or negative, although their true nature is neutral. This is the reason why, he introduced into his studies the use of symbols and living images that may be ambiguous but provide a better basis for understanding the psyche. In his search for symbols, he found alchemical-like symbols in modern fantasies and dreams, something that made him believe that alchemists had been able to create a kind of textbook to interpret the collective unconscious. In a metaphorical sense, alchemy is not about turning base metals to gold, but rather it reflects the process of individuation which transforms a person from an "ordinary" human, to a fully-realized human who knows his true nature and his own potential. Through the individuation process, the personal unconscious and the collective unconscious are brought to conscious awareness. This process leads one to reduce the influence that the collective psychology exerts on most people, and thus it differentiates them compared to others. In a sense, one acquires a more personal and less uniform identity. This new individual identity is a source of vitality and applies healing properties on the mental and physical forms of each person. In this way, one becomes more mature and harmonious, has a greater sense of justice, promotes freedom and other ethical values, and acquires a better understanding about how people, nature and the universe function. Individuation begins when all aspects of our personality are integrated. Our personality consists of the Persona, that is our mask, our role, or the way we appear in our everyday life and the Shadow, that is what is hidden or repressed in our inner self, what we are ashamed of and do not wish others to know about. Another aspect of our personality that has to be integrated is the anima, the female part in men, and the animus, the male part in women, which we come in contact with in dreams and fantasies. The whole process of individuation is not at all easy, especially for the people in the West, whose way of thinking is based on facts and scientific proof. It's difficult for Westerners to accept myths and legends, the rational and the irrational and generally the concept of the opposite, or the concept of the paradox. Jung states that life is not only human and that there must be a unity with everything that exists in the cosmos, including plants, animals and minerals. When everything is integrated, when the opposites like dark and light, the good and the bad, or the Yin and Yang are accepted, we can feel the sense of Unity with everything in existence, and then our Self is born, just like a baby. Jung's work has influenced Western thought, art and literature as much as it has influenced and reformed clinical psychology and it continues to do so. Jung's grandson Ulrich Heorni has finally decided to give his permission for the publication of Jung's Red Book in which he had written down the personal experiences he had in his "confrontation with the Unconscious" for 16 years. The book was published on October 7th, 2009 and the Rubin Museum of Art in New York will display the original until January 25th 2010. So far, the best comment on the book has been made by Sarah Corbett from the "New York Times". She wrote: "The book is bombastic, baroque and like so much else about Carl Jung, a willful oddity, synched with an antediluvian and mystical reality."